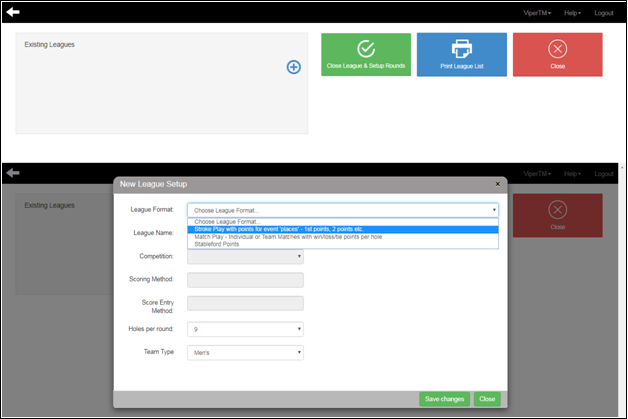 To create a league play, all the participants participating in the league must be a part of the database. Because league play requires participants in the league must be a part of the database so, before creating a league play, you need to add players in the database. To add players in the database, choose ‘Players’ and then ‘Players Database Maintenance’ from the ‘Help’ menu. Once you select, on the new window, either import players from an excel sheet by clicking on ‘Import from Excel,’ or manually add new players by pressing ‘Add New Player.’ Nonetheless, make sure you fill in the unique details for all the fields. 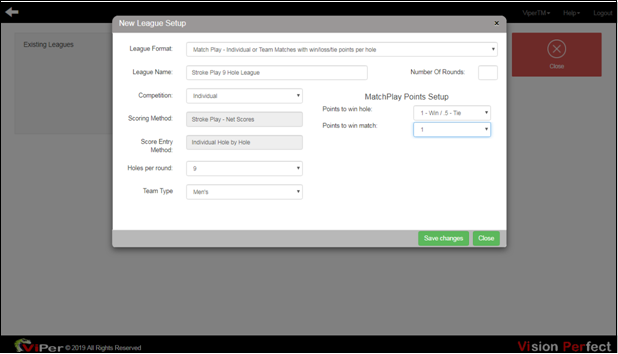 Once you enter the database of all the players, click on the ‘Player League Management’ to create a new league play. By merely clicking on the ‘Plus’ sign and then choosing a ‘League Format’ of your choice, you can either create a ‘Stroke Play with points for event ‘places’- 1st points, 2nd points etcetera,’ ‘Match Play- Individual or Team Matches with win/loss/tie points per hole,’ or ‘Stableford Points’ league play. 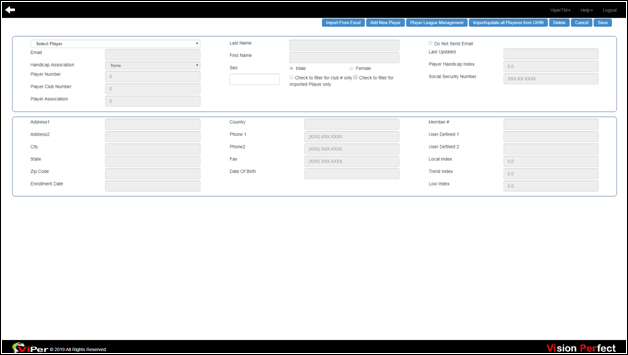 In the Stroke play, after filling in all the required text fields, set the ‘Points’ required to win a particular ‘Place’ such as 1st, 2nd, 3rd, 4th, and so on. Then click on ‘Save Changes’ to save the information. For Match Play league format, firstly, set the values for ‘Points to Win Hole’ and ‘Points to Win Match.’ Then click on ‘Save Changes’ to save the data. Here you can see we have created a Stroke Play league. After clicking on ‘Save Changes,’ you can see the saved league play on the new window.